Predictable and even speaker coverage for speech and music reinforcement. 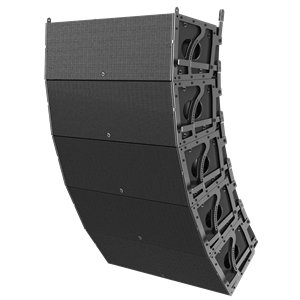 Fohhn® Digitally Adaptive Line Array Technology. 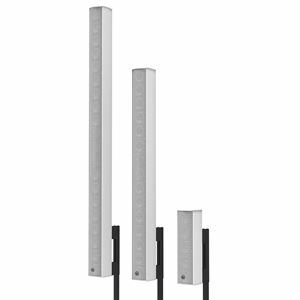 Multipurpose column array speakers delivering high performance and contemporary styling. Line arrays attenuate at 3dB per doubling of distance in the far field, as compared with a point source speaker's typical attenuation of 6dB per doubling of distance. 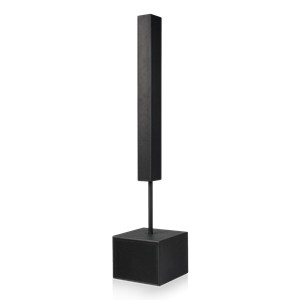 Consequently, arrays have uniform sound coverage from the front of the room to the back of the room. Line arrays can propagate sound over large distances with low distortion. 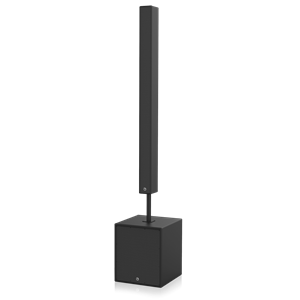 That means a point source speaker that is 110dB at the source will be 86dB at 16 meters while the line array will be 98dB. In 16 meters (52ft.) there is a difference of 12dB or perceived as about twice as loud. 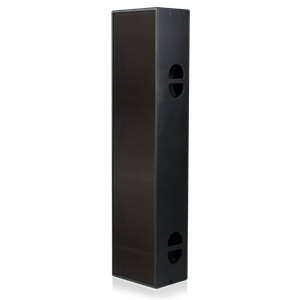 Line array speakers achieve virtual elimination of lobing in the vertical plane due to the arrangement of the devices in a tightly packed and properly spaced array. 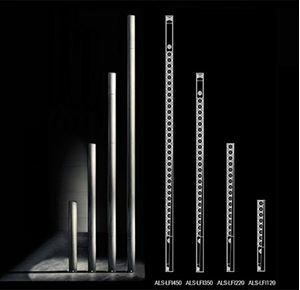 Excursion decreases by half each time the number of devices is doubled resulting in lower distortion and higher intelligibility. The proper design, installation, and implementation of a line array system will result in all of these illustrated advantages.